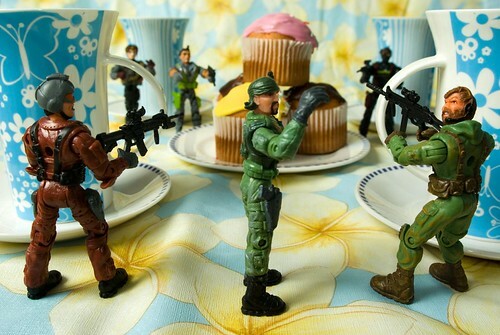 I'm often tempted to have a sniper guard my cupcakes, so why not? Maybe it runs in the family? True story: my father once stabbed me with a fork in the back of the hand as I tried to cadge a bit of his cake. So you see? Sometimes cupcake protection is mandatory. This fantastic shot is from Vermin Inc.